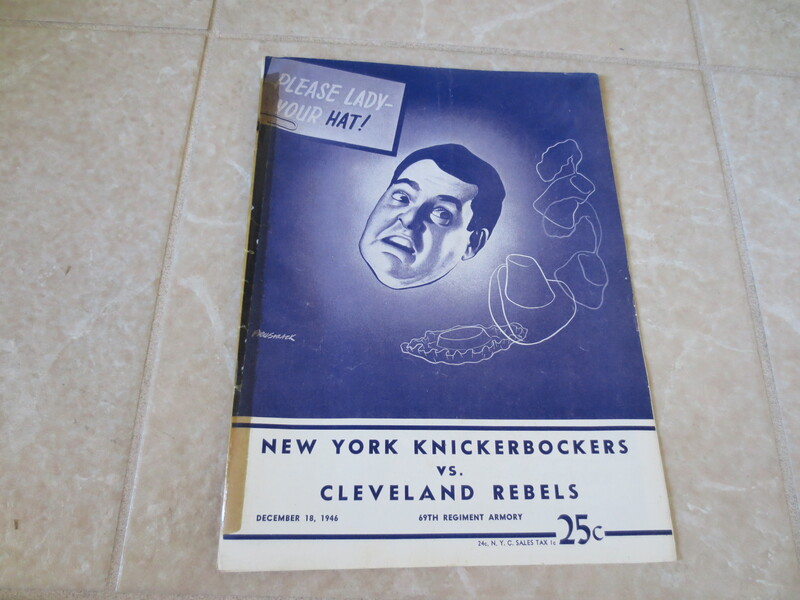 What we have here is the unscored basketball program from December 18, 1946 which features the New York Knickerbockers and the defunct Cleveland Rebels in BAA (Basketball Association of America) action at the 69th Regiment Armory in New York. This is considered the FIRST year ever of the modern NBA! The program is in nice shape but the binding has been taped (see photo). 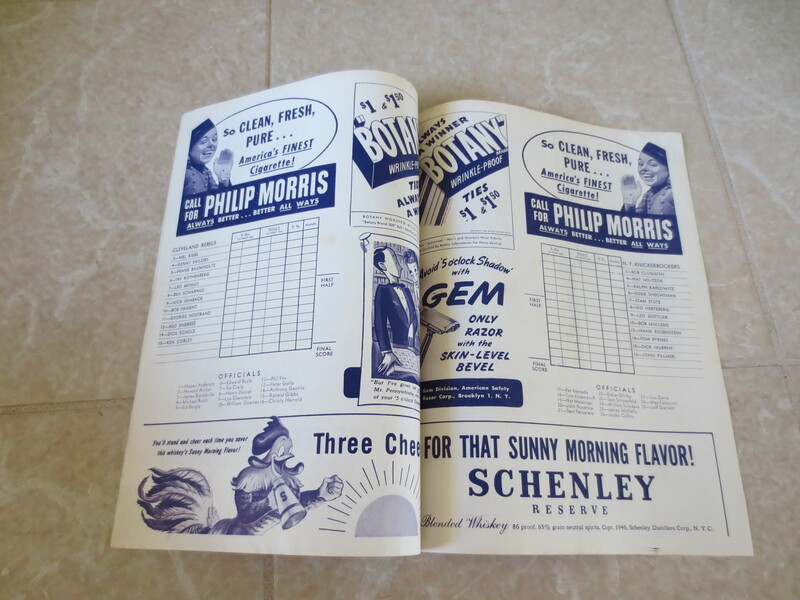 Auction closed on Thursday, September 15, 2016.